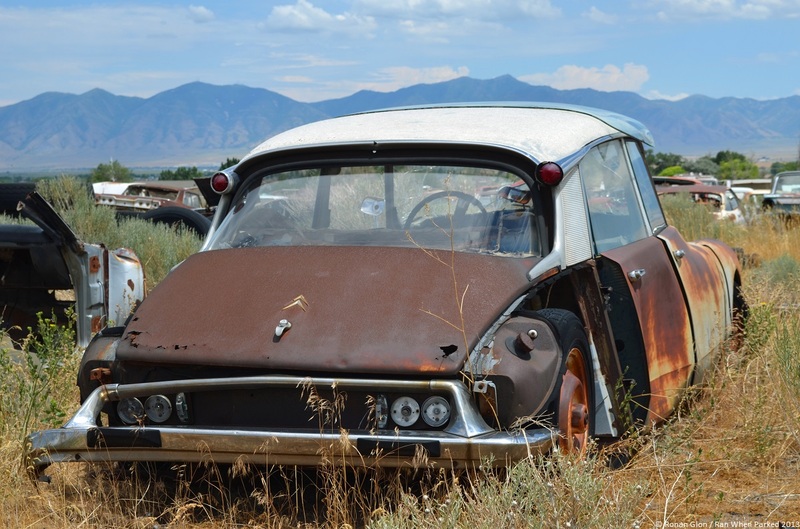 The Citroën DS failed to catch on in the United States for a host of reasons that range from the firm’s non-existent lack of image to the sedan’s relatively high price. To complicate the matter, the DS squared off against domestic luxury cars but it did not offer features such as power windows, an automatic transmission and air conditioning. Although it was a favorite among taxi drivers in the 1950s, the DS is quite rare in the United States today. Citroën tried to remedy the price issue in 1957 when it launched the ID, a stripped down version of the DS that sold for a fraction of the price, in select markets around the world including the U.S. and France. Launched as the ID19, it retained the DS’ innovative hydraulic suspension but it had a less powerful 1.9-liter engine, a manual transmission, and it did not have power brakes or power steering. Additionally, its composite roof was not painted, it had less chrome trim on the outside, a more basic dashboard and model-specific pedals. In 1958, the ID retailed for $2,695 and the DS carried a base price of $3,495, though it should be noted that ID’s base price rose to $2,895 before the year was over. That same year, a Mercedes-Benz 190 (w121) stickered for $3,431 and the Volkswagen Beetle started at $1,545. We found this pre-1967 ID19 hidden deep in a junkyard a couple of weeks ago. Partially dismantled inside and out, it is probably not salvageable as decades of sitting mere inches off the ground have likely ravaged the underbody but it would make a decent parts car. To this day, the finest motoring experience I’ve ever owned, and I’ve been around! DS / ID sedans are amazing. I’m in the market for an ID, trying to find a clean, well-preserved example. Email me Ronan- I may be able to help. Just be aware- a decent D has become a relatively pricy object. The car you show is a ’64-’67. Second nose, second dash with the cone shaped single lamp for a charge indicator.